Not much going on in the garden lately. The heat and humidity have been stifling this past week. 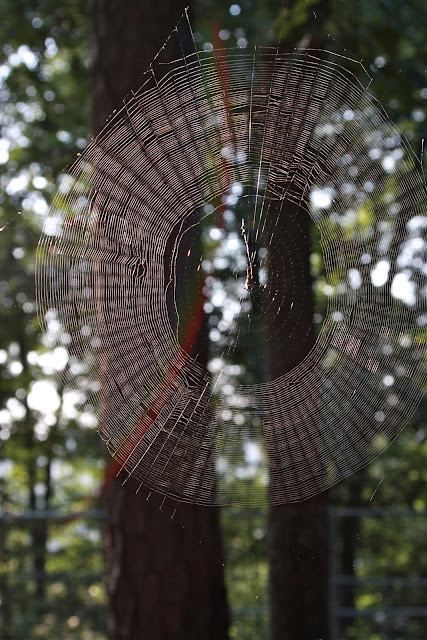 Due to the heat, I've put off several projects until more moderate conditions prevail. A couple of weeks ago my brother can down and helped me put new shutters on the house. I finished clearing and cleaning up the areas beneath the hollies I recently limbed up and finally killed the poison oak that had established residence under them. The tree form Pee Gee Hydrangea is coming into bloom as well as the "Limelight" hydrangea. The lovely eastern tiger swallowtail is one of the most common and widely distributed swallowtail butterflies, found throughout eastern USA and Canada. The male tiger swallowtail is always the familiar bright yellow with black striped markings. However, some females are dramatically camouflaged - they are dark brown to black, mimicking the poisonous pipevine swallowtail butterfly (which predators know to avoid because it tastes foul and can make them extremely ill). 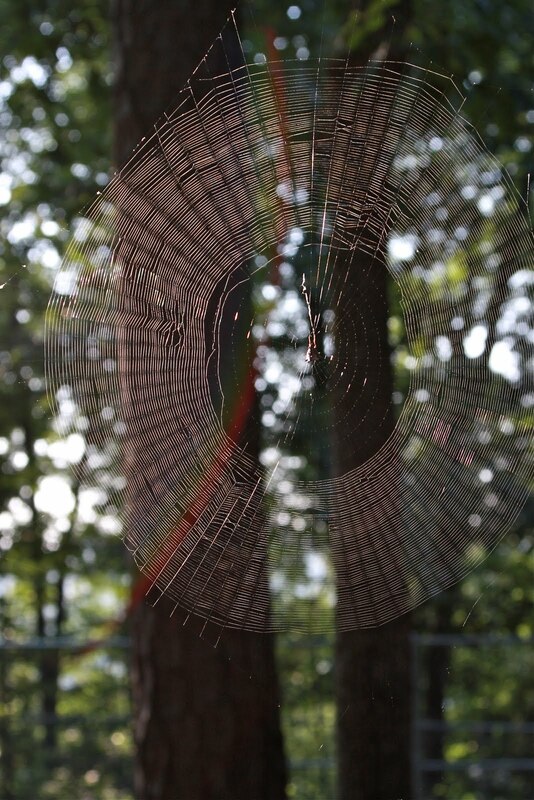 This is a photo taken by my daughter Mary Kathryn of a spider web she found in her yard. A true work of art.